OROFINO — There’s a new kid in town when it comes to local music festivals. With a bold line-up of national, regional and local musicians and heaping plates of barbecue, the Orofino Riverbank BBQ & Music Festival is making its debut Saturday at the OCI Logging Arena on the edge of the Clearwater River. The event will feature nationally-acclaimed country music band Parmalee alongside RaeLynn, a relative newcomer on the country music scene whose recent album debuted at No. 1 on the Billboard Country Album Chart. Also on tap, Seattle-based country group Jones & Fischer, Moscow’s Fabulous Kingpins with dance music and Lewiston country band Coltrain. Music will be paired with the smells and tastes of 10 on-site barbecue vendors. 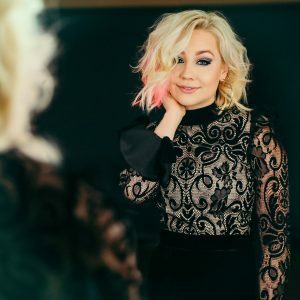 RaeLynn, born Racheal Lynn Woodward, caught national attention when she appeared on the second season of “The Voice” in 2012. Though she didn’t win the competition, she got a record label deal out of the experience, and the 23-year-old has been performing on stages around the nation ever since. Inland 360: Talk to us about your debut album “WildHorse.” It’s gotten huge response from audiences. What do you love about the album? RaeLynn: What I love about my debut album is that it is an honest record. Every song, every story, is something that I relate to — and it’s been amazing to see fans engage with it like they have. 360: How did it feel to have it land a No. 1 spot on Billboard? RaeLynn: It felt surreal, I still can’t believe it’s a No. 1 record. I have been on the road for about five years now, and every show I meet my fans and plant seeds, praying they will eventually grow into something amazing – and they have. All those fans that I’ve met over the years showed up on album release week. 360: You first got national attention on “The Voice” in 2012. What was that experience like? RaeLynn: That experience was incredible. I learned so much about being on stage and about how to stay unique. I also got to be mentored by the amazing Blake Shelton. 360: You’ve known you want to have a career in music from an early age – now that you’re in the music biz, how is it different from what you expected? RaeLynn: It started out as a dream. When I was a little girl, I just wanted to sing songs that were mine and I didn’t care how many people I was in front of. I’ve learned that a lot goes into being an artist, and that’s why you have to lean on your team to help you make the right decisions. I have an amazing management team and label that have helped shape me into the business woman I am today. 360: Who are some of your musical influences? RaeLynn: I would say my family and Dolly Parton are my favorites. My family is so talented it’s stupid. They can sing and play the book, and I’m lucky to have been mentored by them. I also love Dolly because, more than being a superstar, she has done so much good in the world. I just adore her. 360: What are some of your favorite musicians you’ve been able to perform with? RaeLynn: I would say the time I got to sing with Miranda [Lambert] at Stagecoach when I was 18 was a highlight in my life. She was so sweet to let me sing with her, and that crowd was insane. 360: You’re coming here on a Saturday night. What do you like to be doing on a Saturday night when you’re not performing? RaeLynn: If I’m not doing a show, I love to be at home on my couch ordering takeout and watching Netflix with my best friends. 360: You’re out on the road a lot these days – what do you miss about home? RaeLynn: I miss my bed. I have a king size bed that is so comfortable. 360: Who are the people who keep you grounded amid a fast-paced music career? RaeLynn: My husband and my family. I couldn’t do what I do with the support of my family and friends. 360: You’re from Texas – what do you love about your hometown or home state? RaeLynn: I love the Mexican food and people for sure. Tex-Mex is my favorite, and I’m so thankful to have been raised in such an amazing state surrounded by some of the most incredible, hard-working people. WHEN: Gates open at noon. Music begins at 2 p.m. Saturday. OF NOTE: Advance tickets are for sale at Inland Cellular locations and online at www.orofinomusicfest.com, where information about parking options is available.